Sleek ergonomic cabinet design ensures this Attadale kitchen has maximum functionality. 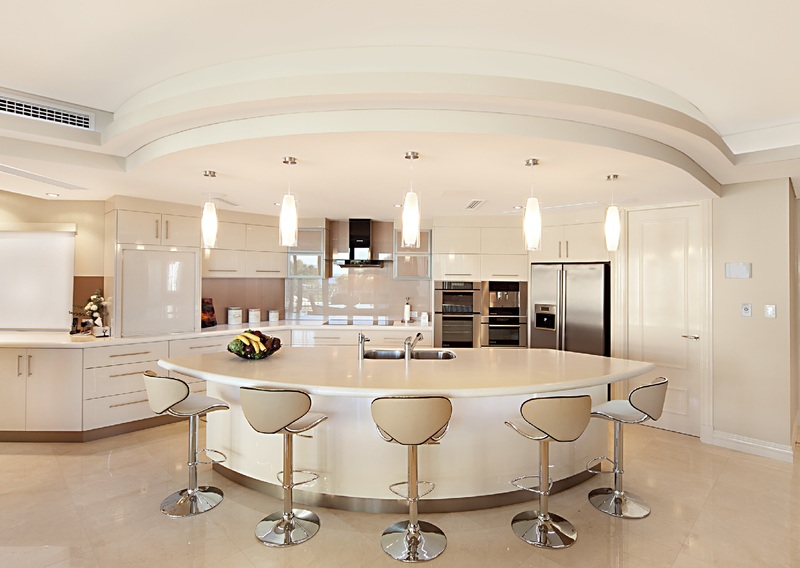 The expansive curved island bench is “Cirrus White” Corian and the doors and drawers are “Moleskin” gloss vinyl. Brushed stainless steel overheads have glass inserts in “Copper Earth” to match the splashback.